These days, it is very common to spend a lot of time and effort trying to stand out. This includes everything from new logos, to interactive marketing and social media campaigns. Your business always needs your first impression to be one that sets you apart from your competition. There are several factors that go into forming that first impression, but one of the most important is your business card. The business card is a very traditional practice that has been around since the 17th century. Over the years, the design and style of business cards have changed, but the general purpose has stayed the same. Business cards are used as an introduction, a reference, and a promotion. They are something that indicates the level of professionalism of your business and hints at the standards your company keeps. 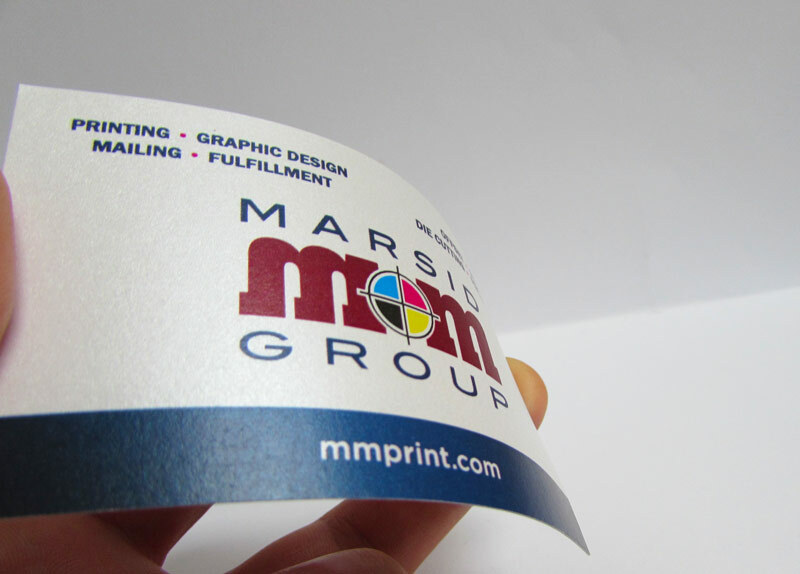 These ultra-thick business cards are bright white, with colors that pop off the card. The silk coating is super smooth and soft to the touch. Another advantage to these cards is that they can have spot UV coating to make certain parts of the card extra glossy and have a 3D effect. This effect is perfect for outlining logos or emphasizing a design on your card. These cards are the smoothest cards we offer with a luxurious feel and vibrant colors. Match this stock with an elegant design, and you have a card that will put you above the rest. Each card is laminated with a velvet coating that not only gives it this smooth feeling, but also bumps the thickness up to 19 pt. making it a pretty hefty card. Printing your card on a stock that is thicker than the average card will definitely help you be remembered and lessens the chance that your card will be damaged sitting in someone’s wallet or briefcase. 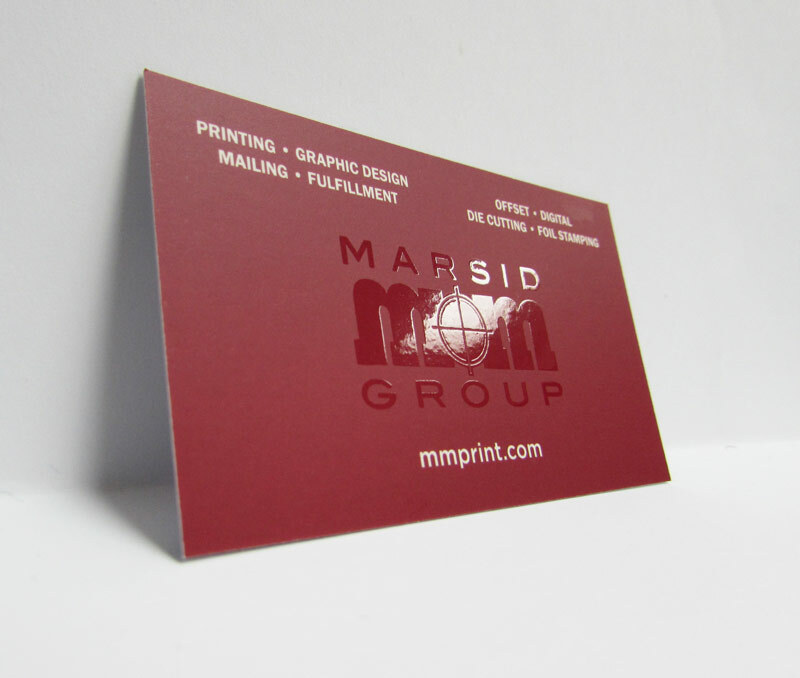 If you want something that really stands out, consider Metallic Pearl Cards. These cards are coated with a shiny and sparkly metal finish that almost looks like they were spray painted silver. These are definitely eye catching, as they shimmer under any kind of light. While these cards may not be for everyone, there are certain businesses that would definitely benefit from using Pearl cards. Some that come to mind are Jewelers, Beauticians, Fashion Industry, or Holiday Stores. This stock is also a good option for invitations to weddings or other upscale events. 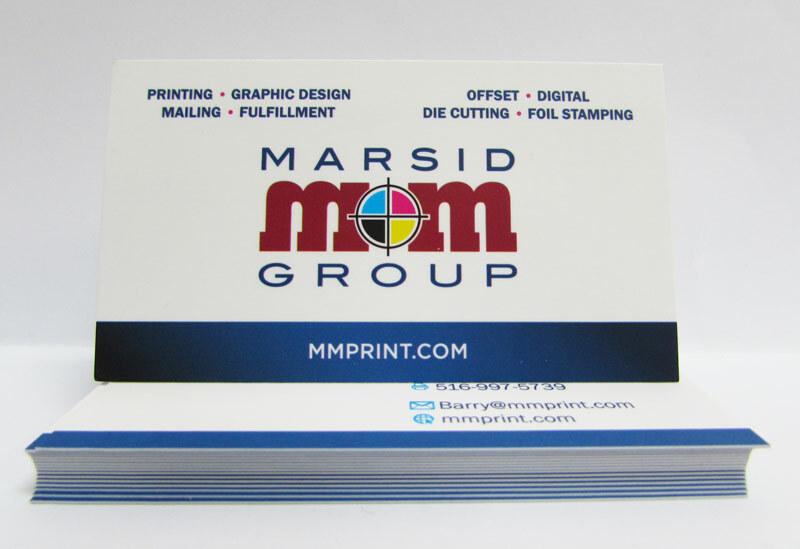 Get great prices for specialty stock business cards and expert advice by visiting our page, here! 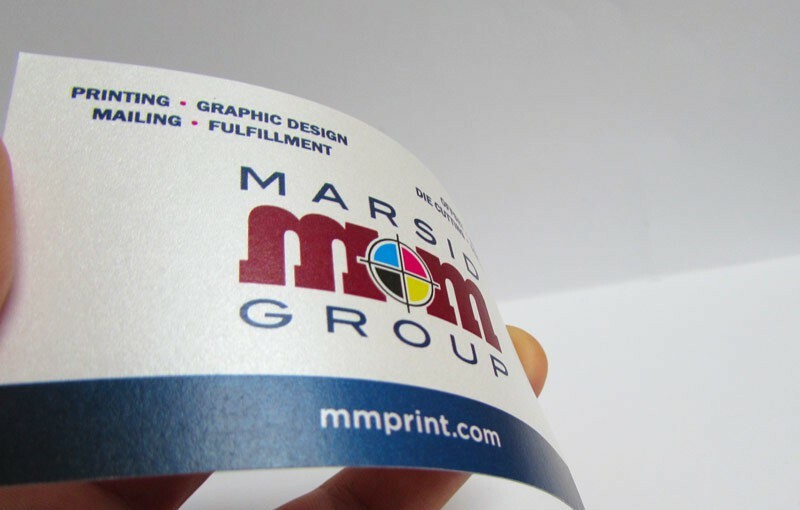 I would agree that having a silky finish to your business cards would set them apart from others. I love that you have the ability to customize your cards in many ways including adding rounded edges. Having a eligible business card is important, I like your note about not having any font below a 9 point font! Thank you for sharing how silk business cards make your cards stand out!